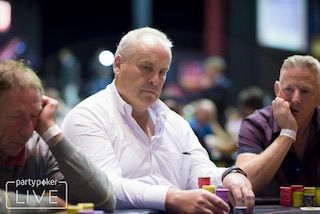 Ludovic Geilich defends his play in this partypoker LIVE MILLIONS hand, but Niall Farrell objects. 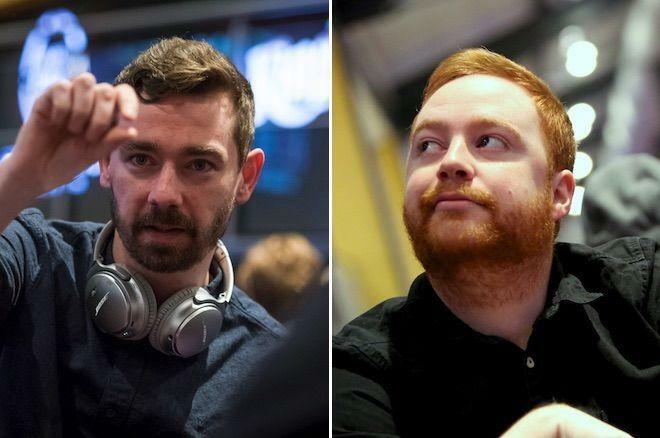 Hand analysis: Ludovic Geilich and Niall Farrell debate Geilich's thin "blocker value bet." There were many intriguing hands shown on the live stream of the recently completed 2018 partypoker LIVE MILLIONS Germany Main Event at King's Casino in Rozvadov. One such hand involved Ludovic Geilich who went for a very thin value bet on the river against John Conroy. Niall Farrell was at the table at the time as well, and afterwards he disagreed with Geilich's decision to bet the river. Here's the hand, along with some video commentary below by Geilich and Farrell. What do you think? They were a few hours into Day 2, still well shy of the money in Level 17 where the blinds were 70,000/140,000 with a button ante of 140,000. Dealt in early position, Geilich had a little under 4.2 million to start the hand and chose to raise to 285,000. Conroy, with close to 6 million in his stack, was next to act, and he three-bet to 805,000 with his , and it folded back to Geilich. As Geilich says in the video below, it was kind of "a yuck spot" for him, noting how he had "too many chips to jam." He chose just to call, making the pot 1.86 million when the flop fell . Geilich checked, and in his recounting of the hand Geilich misremembers that Conroy actually didn't check behind but bet small — 625,000 (about a third of the pot) — and Geilich called. Both did then check the turn. Farrell suggests Geilich couldn't have been called by a worse hand on the river, but Geilich defends his play saying that while it might not be "theoretically correct" he didn't want to check and face a bet from Conroy that he couldn't call. Farrell reports how Conroy told him he would have bet the river had Geilich checked, which means "Ludo might have gotten a better result by playing it incorrectly, in my opinion." What do you think of the thin "blocker value bet" on the river? Geilich and Conroy would both go on to cash the event, with Geilich finishing 26th and Conroy 97th, while Farrell would likewise make the money in 42nd. Meanwhile Viktor Blom ultimately topped the 927-entry field to win the €850,000 first prize.